Who doesn’t have a pair of jeans that have seen better days? 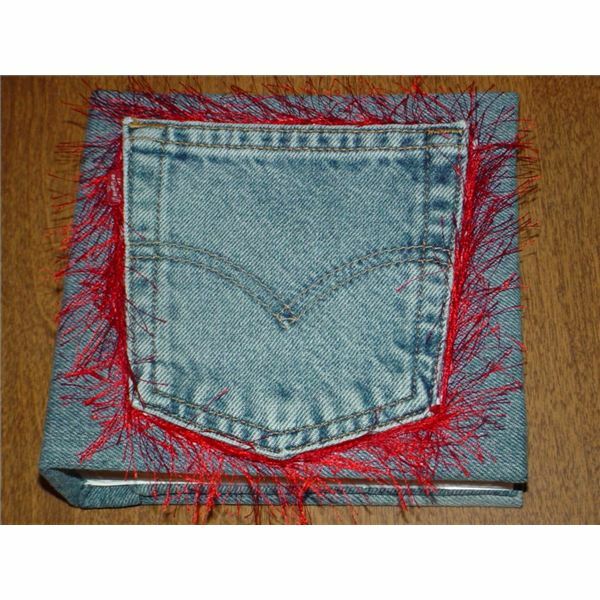 You can use worn denim jeans or the leg of jeans that have been cut off into shorts to make the crafts below. This is a no sew journal cover that any girl is sure to love. The pocket provides extra storage space on the front of the journal for holding pens and pencils. All you need to get started is some old jeans, a sharp pair of scissors and tacky glue. The pocket in the photo was embellished using novelty yarn from the hobby and craft section of the department store. Anything that you have at home, including jewels, metal studs, yarn, or your own artwork can be used to embellish the journal cover. "How to Make a Recycled Denim Journal Cover, " by Heather Schulte. You can also use the cuff of denim jeans when hemming them, or cutting the cuff from discarded jeans, to make this fabric rose. 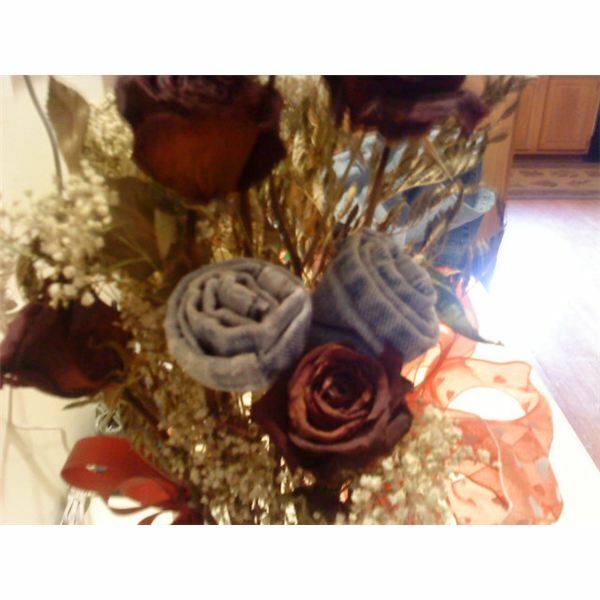 Use the roses in homemade decor, potpourri, or to embellish other recycled crafts. How to Make a Fabric Rose Using Old Blue Jeans, by Heather Schulte. biodegradable, so you can rest assured that if paper makes it to the landfill, it will eventually break down with exposure to natural elements. But reuse is always preferable if you can put that paper to good use and prevent purchasing new paper. 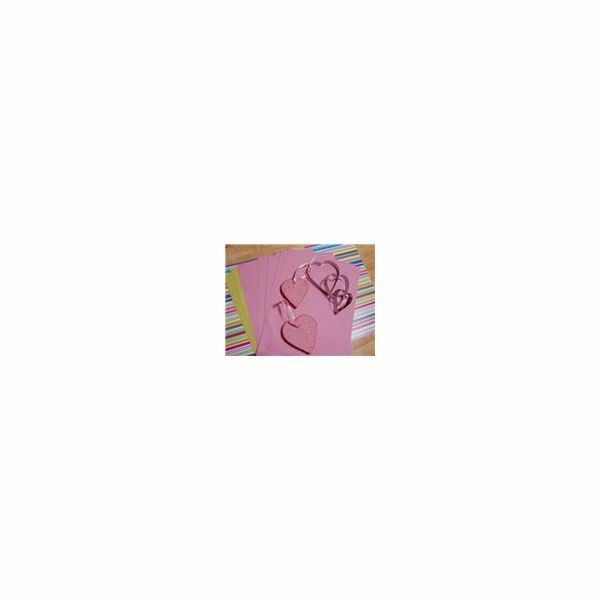 Use the backside of old paper as drawing paper for children, or cut it into quarters as a "notepad" for taking messages and writing lists. s is a fun project for kids as they can actually see the recycling process as new paper is made. 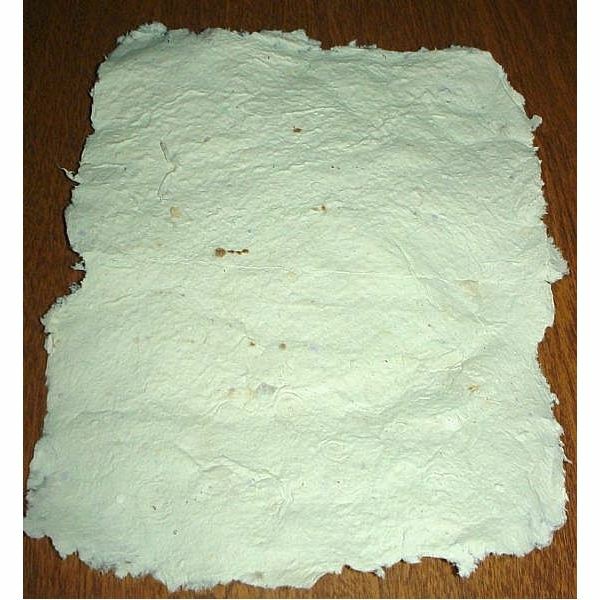 The resulting paper is sturdy, thick paper suitable for making notecards or cardstock. Another idea for reusing old paper is paper mache. 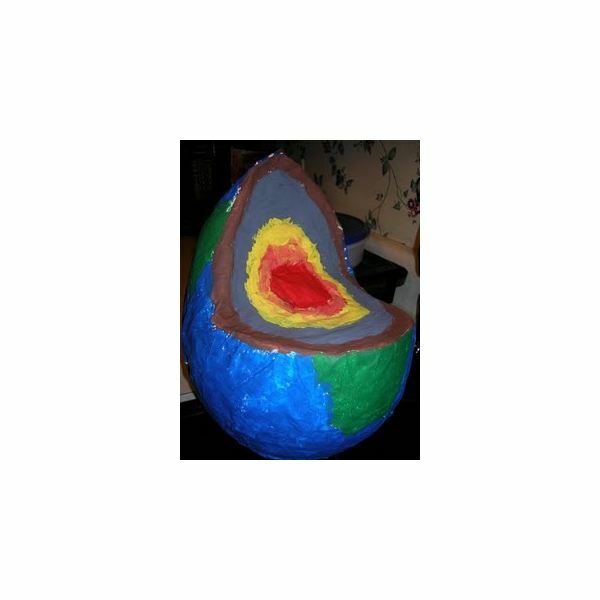 What better way to celebrate earth day than to paper mache the earth. Children can learn about reuse and explore the globe, oceans, and continents at the same time. How to Make Paper Mache, by Kris. Prepare for earth day this year by helping kids make recycled crafts. Teaching kids the importance of recycling is the first step in sustaining the earth through future generations. This earth day, you can sparking a few reuse ideas in the next generation.